Summer is not yet over! 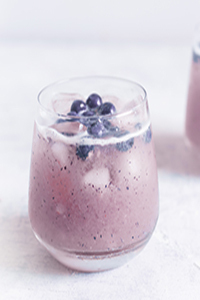 Enjoy this mocktail made with sweet blueberries, fragrant litchis and healthy coconut water before it is too late. Can you believe we are already six months down in 2018? Time surely flies fast. While it is already monsoons in this part of the world, I know Summer is just starting for a few folks out there. This mocktail was waiting to be made for a long time now. I watched a similar cocktail on TV and I was bowled. I had to make it. The only thing that was really stopping me was the unavailability of blueberries. And I finally got some plump sweet blueberries at Namdhari's over the weekend, that too at slashed prices. This was my first time eating sweet blueberries. Somehow, until date, I've only managed to get slightly sour ones and I had come to expect that blueberries never got sweeter as they ripened. But hey, they do get sweet. I'm yet to find sweet strawberries, but I now have some little hope that I may find it some day. I also chanced upon these extremely fragrant and flavorful litchis while I was out there. They grew at their own farm. I would never have picked up a bag of green litchis, but they let us try a few and they were so sweet, we could hardly believe it. I've only ever had red litchis. These litchis are so fragrant, I love opening my fridge just to catch a whiff! Anyway, after the blueberries and the litchi, comes the coconut. 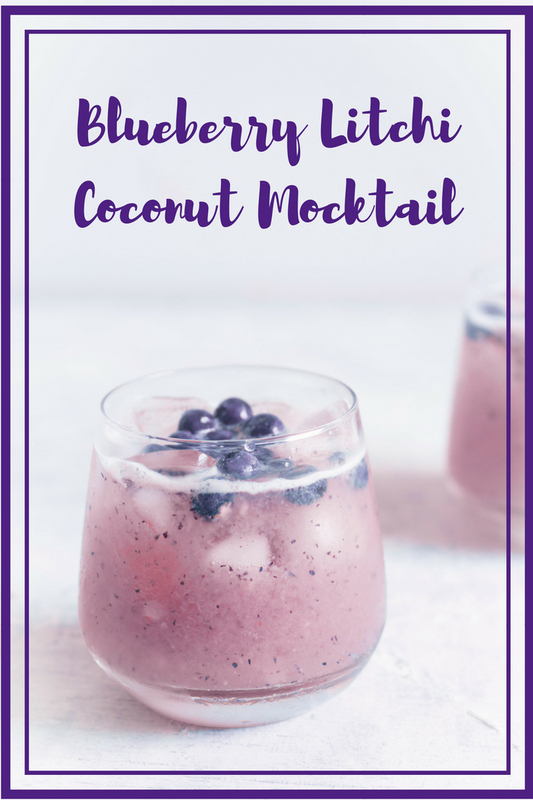 This mocktail uses the tender coconut water - the best summer drink there is. I'm very lucky to have access to fresh tender coconuts, but if you don't, you can replace it with packaged tender coconut or young coconut water or just some Sprite or plain Soda or Sparkling water. If the fruit you have aren't sweet enough, stir in some raw honey or sugar. 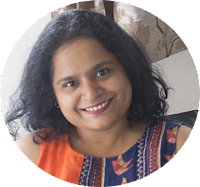 I had really sweet fruits and tender coconut water, so I did not need to sweeten it any other way. Also, if you plan to make it in advance and serve it after a while, add a little lime juice or lemon juice so that it does not discolor. I had a brighter purple before I took the pics, but since I missed adding any citrus the color changed slightly. If you'd rather have this as a cocktail, you can add vodka or tequila. The original recipe from TV had vodka and lavender but no litchis. These paired really well with the Bread Pizza Cups that I shared on Friday. 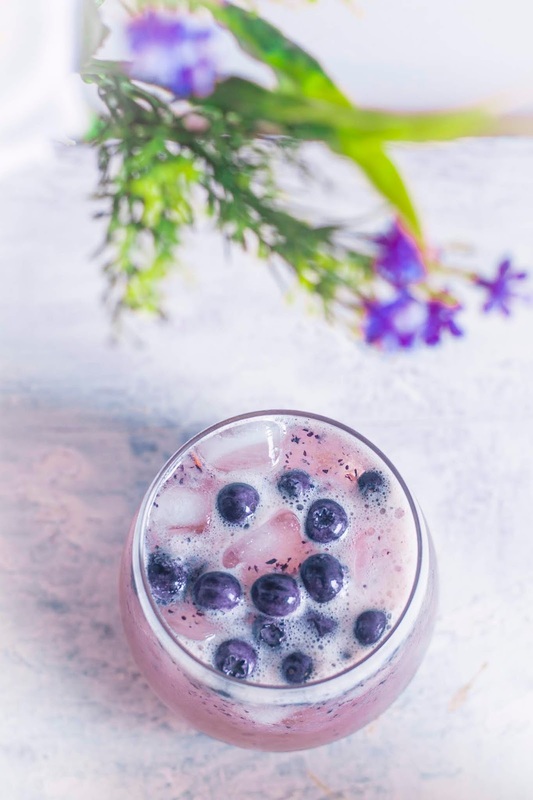 A non-alcoholic drink made with fresh blueberries, fragrant litchis and young tender coconut water. 1. Peel the litchis and deseed them. 2. Blend together 1 cup of blueberries, litchis and lime juice until smooth. 3. Strain if you desire. 4. Add coconut water and mix. 5. If the drink is not sweet enough for you, you can add raw honey or sugar. 6. Fill the glasses with ice and pour the drink over them. 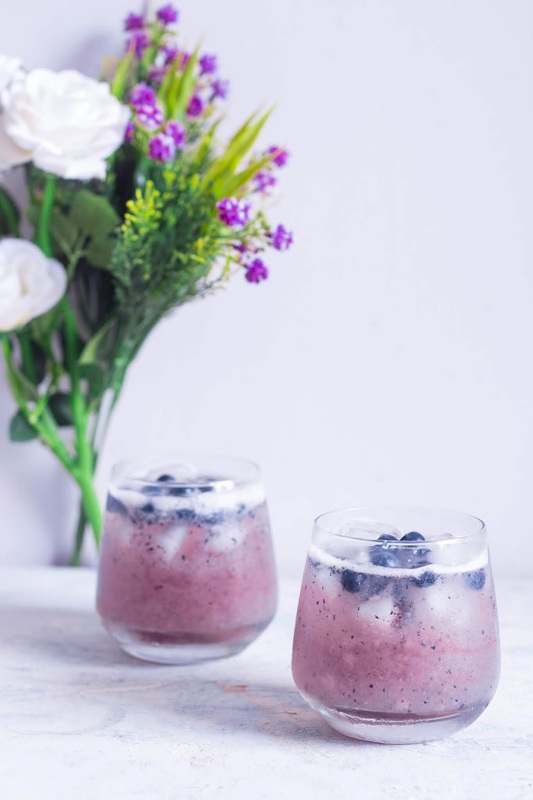 Add the remaining blueberries in each glass. 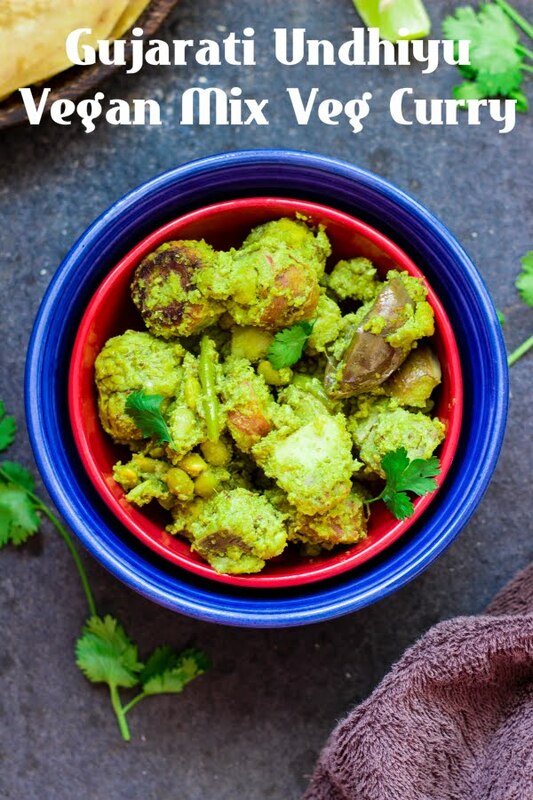 Fragrant chickpea curry made in South Indian style with fresh coconut and whole spices. 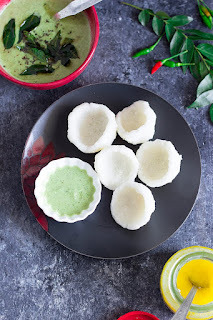 That South Indian blood in me, is 50% coconut. I'm sure! Everything tastes a little better with some coconut in it, do you agree? Now, that we have established ourselves as fans of that brown fruit or nut, lets move on. So who like chickpeas? I know I do. 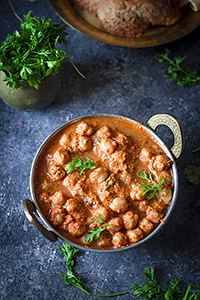 If you are still here, then you will love this South Indian style of making Chana Masala. Amritsari Chhole, Pindi Chhole or this slightly different Chhole Palak. While I'm super lucky to be in the tropics, where coconuts are easily available and not very expensive, you can replace the fresh coconut here with frozen coconut or with coconut milk . 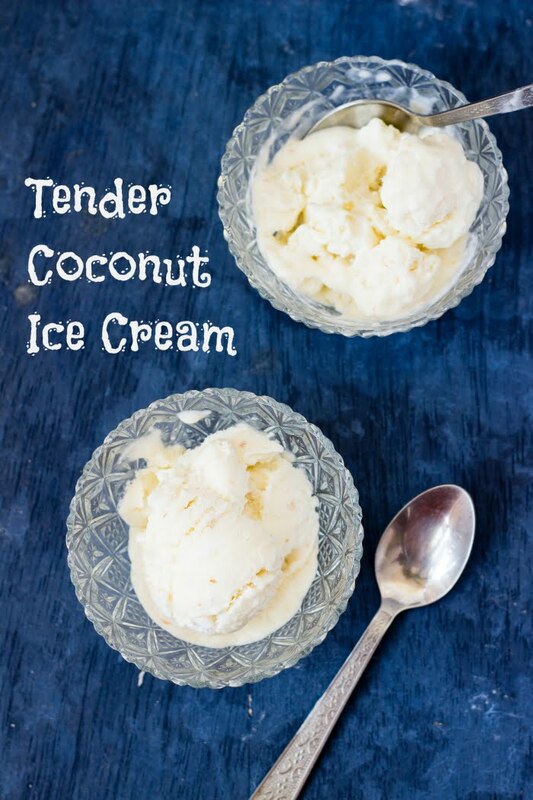 If using coconut milk, just expect a paler color as you will not be roasting the coconut. Now, back to the dish, it is actually very simple to make. You really don't need to be a chef. But you have to know your spices. Here, I have used whole spices that I dry roasted on low heat for a few minutes and then ground along with the coconut. You can use garam masala or chhole masala, but I highly recommend grinding those whole spices, just this one time. Grated fresh coconut is also roasted on low flame until it turns a golden brown. If you are using coconut milk, you don't have to do this step. Grind the spices and the coconut. Fry it for a while, then add the chickpeas and simmer. Garnish generously with coriander leaves. 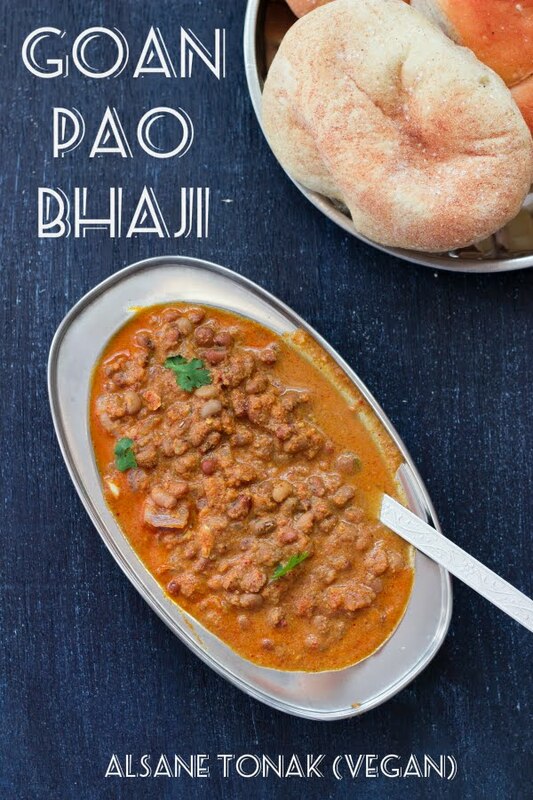 And this Chana Masala goes so well with crusty bread, some rice or light fluffy naans. You can make this curry and serve it right away, I think it tastes better the next day. A day or so in the fridge allows the chickpeas to soak in all the flavor. South Indian Chana Masala is a spicy curry made with chickpeas, fresh coconut and whole spices. 1. Soak the dried chickpeas in water for 8-10 hours. 2. Pressure cook with a 0.5 tsp of salt until completely cooked. Do not overcook them. 3. Dry roast the coriander seeds, fennel seeds, cumin seeds, cloves, cinnamon, cardamom and pepper on low heat until fragrant. That should take around 3-5 minutes. Remove from heat and keep aside. 4. Heat 1 tsp of oil in the same pan and on medium to high heat, roast the dry red chillies until they puff up. Remove from heat and keep aside. 5. 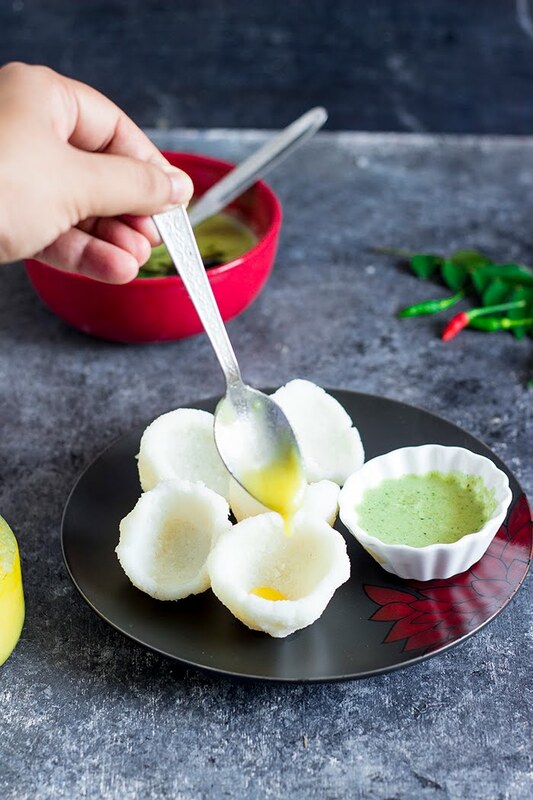 Lower the heat, and add the grated coconut (if using) to the pan and on low heat, roast the coconut until it turns a golden brown. 7. Grind together the roasted whole spices, red chillies, roasted coconut, grated ginger, tamarind, turmeric powder and chopped onion along with a little water to a smooth paste. 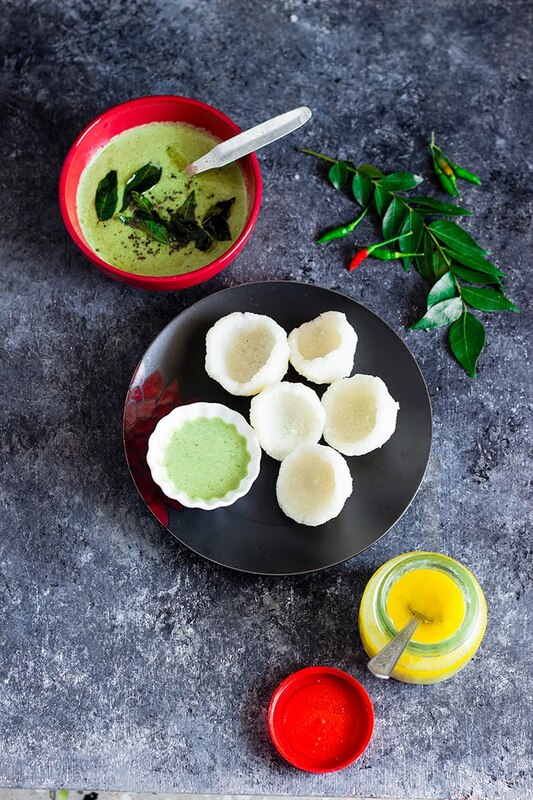 If using coconut milk, just grind together the spices, red chillies, ginger, tamarind, turmeric powder and onion. 8. Heat the remaining oil in a pan, and add the ground paste. 9. Fry on low heat for 2-3 minutes. 10. Add the cooked chickpeas, 1 cup of water and salt. Allow to come to a boil and simmer for 8-10 minutes. 11. If using coconut milk, then add it after 5 minutes of simmering and continue to simmer until the curry reaches the desired consistency. 13. Serve warm/hot with rice, bread, or flatbread of your choice. Flashback to April 2002, 15 years and 1 month ago, I was in Bangalore with my dad, all set to answer the Common Entrance Test (CET) that would give me a chance to study Engineering in Karnataka. Because I took so long to decide that I want to answer CET, all the hotels we knew of were full. My aunt came to our rescue and arranged for us to stay at her sister's place. Her family was extremely hospitable, so before we left, we asked them what their favorite sweet was so we could it buy it for them as a gift. Their response was - Honey Cake, a complete novelty to me. Honey Cake is a Bangalore special. It is not something you will get in the gourmet high end bakeries, it is something that is available in the humble Iyengar Bakeries that dot the old city. A simple orange sponge that is soaked in a sweet honey syrup, topped with a jam coconut frosting is what this sweet treat is all about. I had completely forgotten about this beauty until I went to the bakery randomly to buy some bread and saw them bring out a tray full of fresh honey cake. I had to have it!!! Unfortunately, the cake wasn't eggless and that prevented us from enjoying it then and there. So the food blogger was given the task of making the cake at home so all could enjoy it. I'm happy to say I did not disappoint. The cake was very similar to that memory of 2002. The only little tip I have is let that cake soak for a few hours. The syrup needs to soak up the entire cake and not just the bottom. Eating it immediately (like we impatient bunch did), will not let the honey permeate through the cake. If you cannot resist the cake (like us, again), just keep a bowl of syrup nearby and just drizzle it over the sides of the piece of cake while you eat. ORANGE SPONGE CAKE - The base of the whole cake, well, is the cake. This orange sponge was sooo delicious that I could eat it just like that over a cup of tea. In fact, I will, very soon, just when I feel I've denied myself of sufficient number of calories to bake a cake again. Until then, I just live with the memory of this yummy orange sponge. This sponge is so simple to make, you could have a kid do it. No creaming butter until your arm aches. Just 6 simple ingredients, hand whisked until combined. I used freshly squeezed Orange Juice in my cake, 2 not so juicy oranges gave me half a cup of OJ. Use more to get a more pronounced Orange flavor. I know I will. If you dislike oranges, however, just skip it and use water in place of it. HONEY SYRUP - This syrup isn't like your regular syrups. It is not boiled until you get a certain thread consistency. Just mix honey in warm water and your syrup is ready. Tastes purely of honey. JAM COCONUT FROSTING - Use whichever jam you want. The cake you get in bakeries seem to use mixed fruit, so I used mixed fruit. But I know I would love a mango jam to go with this cake. Heat together the jam and desiccated coconut (dry) along with a little water or honey syrup to make the frosting. The consistency should be slightly loose so it is easy to spread. You can buy desiccated coconut from the supermarket or you can just grate dry coconut using a fine grater to make your own. Top the frosted cake with more of this desiccated coconut to make it more coconut-y. Banana Bread - Eggless banana bread. Coffee Walnut Brownies - Vegan coffee flavored brownies with chopped walnuts. Almond Chocolate Brownies - Eggless brownies with almonds. Bangalore Iyengar Bakery style Honey Cake is made by soaking an orange sponge cake with honey syrup and then topping it with a jam-coconut frosting. Add baking powder and bakind soda to the flour and mix well. Add orange juice, oil and sweetened condensed milk and mix until combined and smooth. Grease a cake mould or baking tin and dust it with flour until coated. Remove the excess flour by upturning the tin. Bake the cake for 30-35 minutes or until done. Test by inserting a toothpick in the center, if it comes out clean, the cake is done, else, let is bake a little longer. Mix the honey in warm water and keep aside. Heat the jam in a pan and add the desiccated coconut. Loosen the jam-coconut mixture by adding a little water or honey syrup. Stir and cook for 2-3 minutes. The frosting should be smooth without any lumps of jam in it. Prick the cake with a toothpick or a fork to create holes. Pour half to 3/4th of the syrup onto the cake and allow it to soak. You can keep the cake aside at this point for 30-60 minutes and then pour the remaining syrup on the cake. Spread the jam-coconut frosting on the cake. Top with more dry desiccated coconut and chill until ready to serve.